I was turned onto this fascinating find by my good friend, Rob. It seems there’s a oceanic jellyfish that can (and some say already has) live forever. For the film-reference-deficient, it’s a take on the Highlander series. 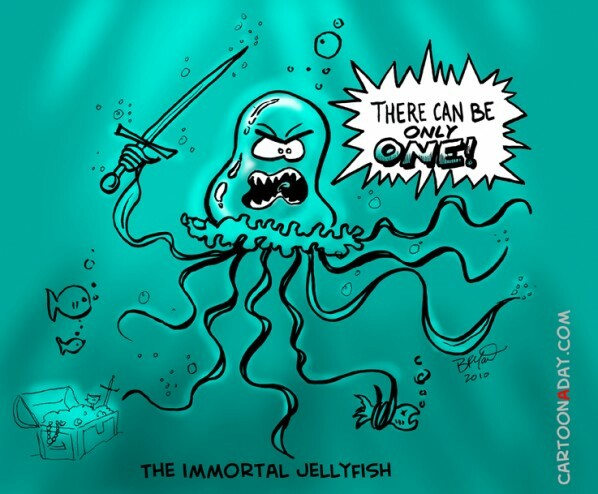 Here’s the full story..
Inspiration: Jellyfish, immortality, and the Highlander.